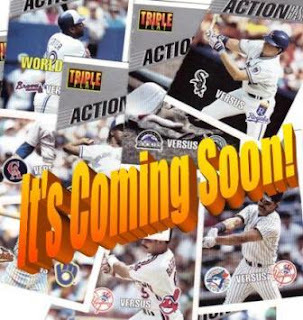 Indians Baseball Cards: Looking for Tournament Players! 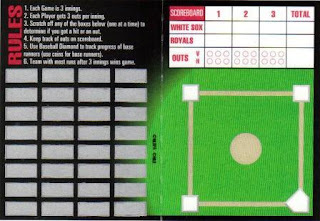 Is trash talking allowed in scratch-off baseball? Voltaire, drop me an email with your email address, and I'll get ya in the game! I would like to participate in said baseball related scratch-off activities. Hooray fake baseball! Hey Dave, this sounds like it could be a lot of fun. I will field a team of scratchers. I have a bit of experience with the scratch off game here at Tribe Cards, sure that puts everybody at a dis advantage, but heck, life isn't fair. Erin, please send me your email address and I'll get ya in the game! Jim (tastelikedirt), please send me your email address and I'll hook ya up, too! Count me in, good Sir. I'm from Cleveland so I have no chance of winning, but 2nd is a distinct possiblility. Cool tournament. I'm in. I will send you my email address. Chris B, if you've sent me an email, I haven't seen it come across my 'desk' yet... Please send another and I'll get ya signed up! I would love to do some virtual scratching if there is still room in the tourney.